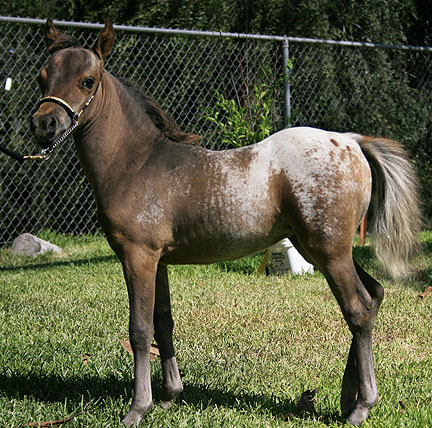 This is one classy filly that will stay A size. She is handled daily, really easy to work with and will make an excellent youth horse. 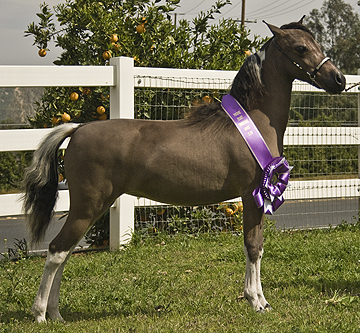 Sassy has what it takes to win blue in halter and has the action it takes to make a nice little driving horse later on. 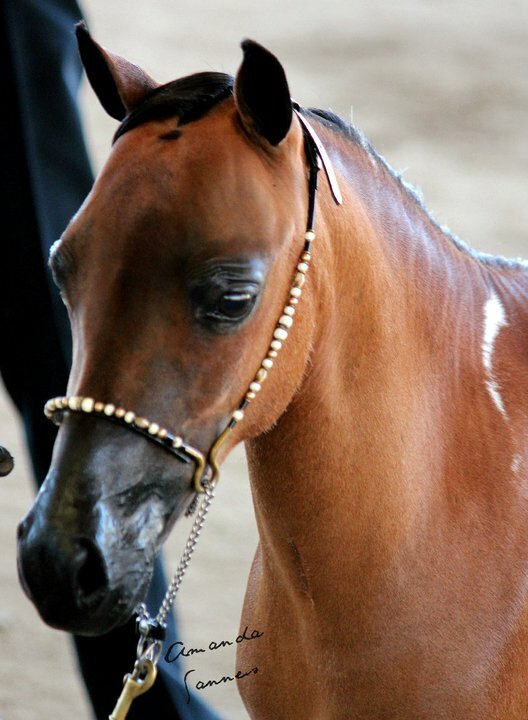 She will be part of my 2012 show string if not sold. Or if you are breeding for color she would be an asset to your breeding program. 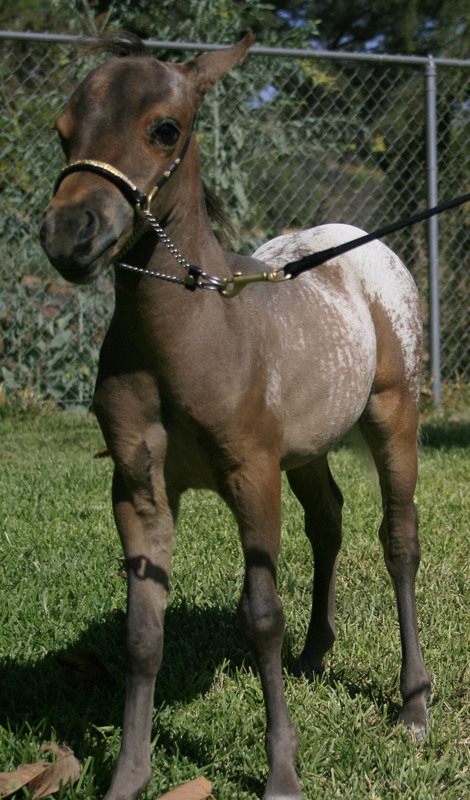 Sassy is appaloosa top and bottom You can see her Sire Philco's Mi Novio and Dam Philco's Spanish lace on this site. she will be weaned and ready to go in September. A non-refundable deposit will hold her. 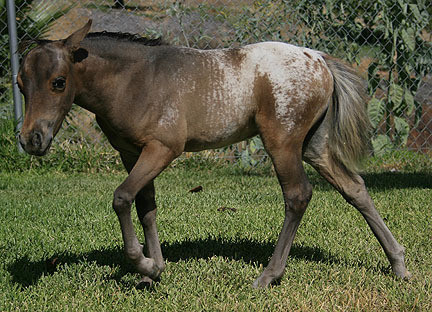 This sweet colt is ready for a new best friend and would make a nice youths gelding. 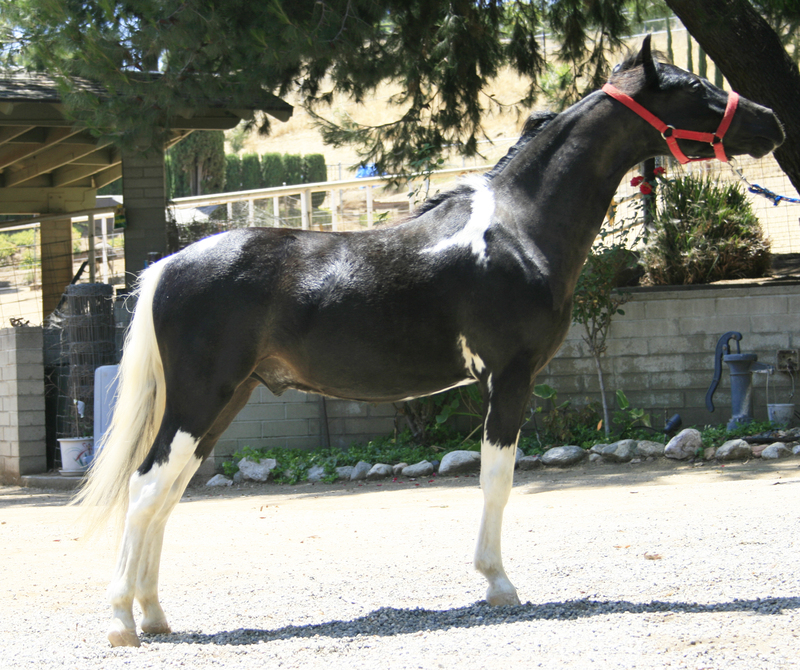 He would make a beautiful driving horse he has nice action and is always flagging his tail. This boy will get you noticed just look at his color! easy to clip, bathe, blanket and work around. should mature at 37 inches. His Sire is HHP Talk of the town and his Dam is Miss Jessie supreme. 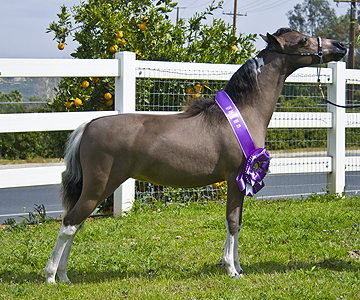 Check out some of the great horses in his pedigree: Wink's Showdeo KidII, Wink's Showdeo Kid, Winks Roja, Red Rock, Z.J. Windwalker (HOF), Pony Vistas, Sundance LB Hot Topic, Sundance LB Magellan, Sundance LB Raven, Sundance LB, Magida, Flaby's Captain Topper, Sundacne LB Katarina, Sundance LB Cortina. HHP Cherry-Hill Apple Betty, Cherry Hill Napoleon B, Cherry Hill Philomath Frolic, Flaby's Mr. Chips, Cherry Hill Apple Saucy, Cherry Hill Apple Annie. Sadie is Futurity nominated and will be at the 2011 AMHR nationals in Tulsa She has 3 Grand champion ships, 1 reserve Grand champion ship and won 4 Champion ships and 1 rev champion in halter already! 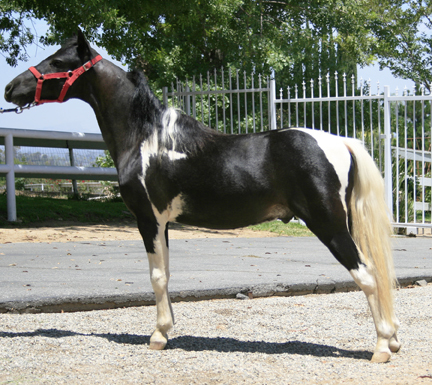 Sadie is a beautiful refined filly that will stay fairly small and would be an asset in anyone’s breeding program to downsizing their ASPC/AMHR horses. She has some impressive horses in her back ground: Sundance LB Hot Topic (HOF) Sundance LB Katarina (HOF) Chile Lee, Red Rock sweet lee, Lee Land Chile, Wink's showdeo Kid II.